Jesus Culture's Kim Walker-Smith has released a live EP with selections from her 2017 hit solo album, On My Side. On My Side Live (EP) is available now. 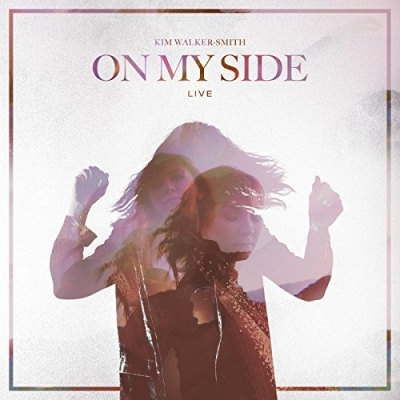 Known as one of Christian music's top female worship leaders, Walker-Smith recorded these live versions during her "On My Side" tour last year. Also debuting today is the live video of the song "I Know," which can be viewed below. Outlets praised the 2017 project saying it had "vertical lyrics and emotional melodices that penetrate the heard during both personal and corporate worship gatherings," (CCM Magazine), "On My Side implores believers to 'run to the throne room'," (Worship Leader Magazine), and "Deeply intimate songs of worship here that could definitely be used in a corporate worship experience," (Worship Musician). Walker-Smith is currently on the Chris Tomlin's Worship Night in America tour that will run throughout the middle of May.